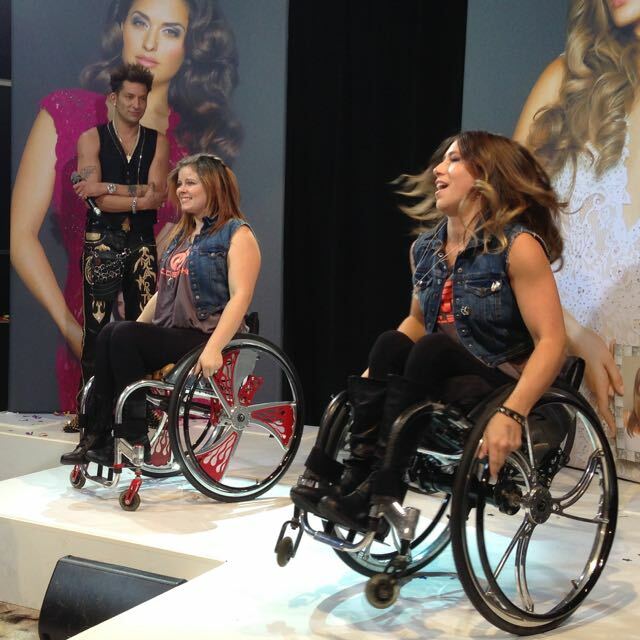 ARTISTS FOR TRAUMA HAS PARTNERED WITH WALK AND ROLL FOUNDATION AS OUR PREFERRED ADAPTIVE DANCE ARTISTS. WE ARE HONORED AND DELIGHTED TO SUPPORT AND PROMOTE Walk and Roll’s dance team to our AFT Student Artists who are recovering from life altering traumas such as spinal cord injury, traumatic brain injury, and amputation. 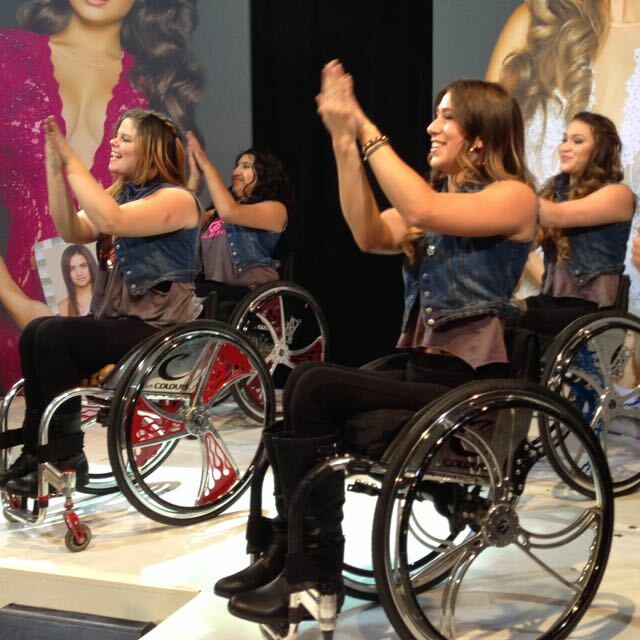 With the start of the New Year AFT launched our personal and organizational support by participating with Walk and Roll Foundation’s Wheelchair Hip Hop Dance Class on January 17, 2015 at CYCLEPATHIC, a Santa Monica, CA. fitness facility, who also sponsor Walk and Roll Foundation and offer adaptive spinning classes. 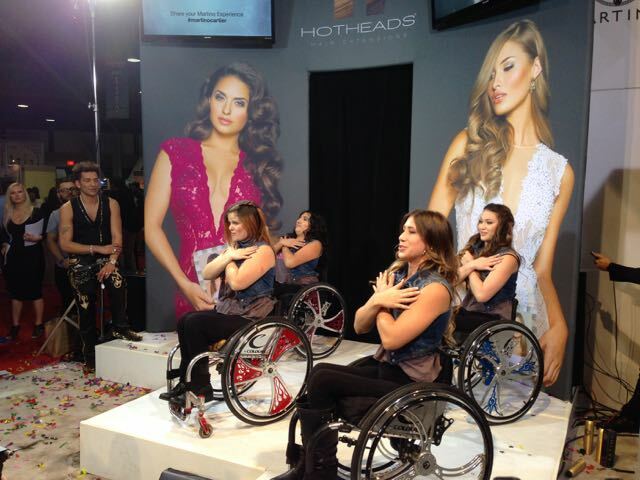 AFT also sponsored Walk and Roll Foundation’s Wheelchair Hip Hop Dance CAMP from January 13th – 19th, 2015 at CYCLEPATHIC in Santa Monica, CA. Nine, (9) young ladies attended from all over the country and trained as a team led by Walk and Roll Foundation Founder, Chelsea Hill and their dance choreographer, Melissa Karasek. AFT also attended and supported the W&R Dance Team’s live performance at the Ability Expo at the Pacific Aquarium, in Long Beach, CA. 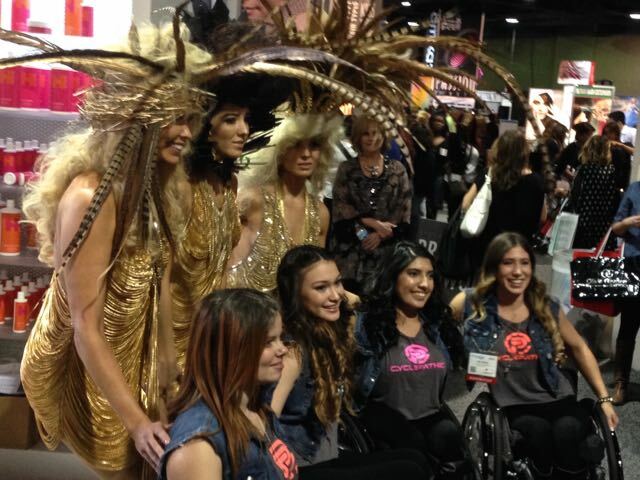 And if that wasn’t enough …while there AFT was invited to watch Walk and Roll Foundation’s dance crew perform at the International Hair and Salon Expo at the Long Beach Convention Center put on by hair designer Martino of Hot Heads. Martino was absolutely fantastic in his recognition and support of the inspiring transitions that the dancers have experienced following their life altering traumas, inviting them to perform as part of his show to help spread the message that trauma survivors are vibrant, hip, and full of life! AFT plans to continue to collaborate, sponsor, and promote Walk and Roll Foundation as our preferred adaptive dance artists program to all incoming AFT Student Artists and at signature AFT events.